A few weeks ago I discovered Nicola Crawford's, beautifully feminine, handmade jewellery. Nicola is based in Kent, after graduating with a first class BA (hons) in Silversmithing, Goldsmithing and Jewellery in 2011. Shortly after University Nicola set up her own label, inspired by her love of nostalgia and narrative. My favourite collection is the latest addition to the label and named after one of my favourite childhood stories, The Secret Garden, a novel by Frances Hodgson Burnett. The collection is entirely covetable, with Ivy Leaf Rings, Key Pendants and Studs and a clever Lock and Key Ring. I admire the timeless quality of Nicola's jewellery, all of the collections are pieces you can wear forever. My favourite piece belongs to another collection named 'With Love'. The necklace is inspired by the illegible hand writing on a postcard from 1908. The letters on the pendant, hanging from a long chain, spell the repeated word love. This stunning piece is now on my wishlist! 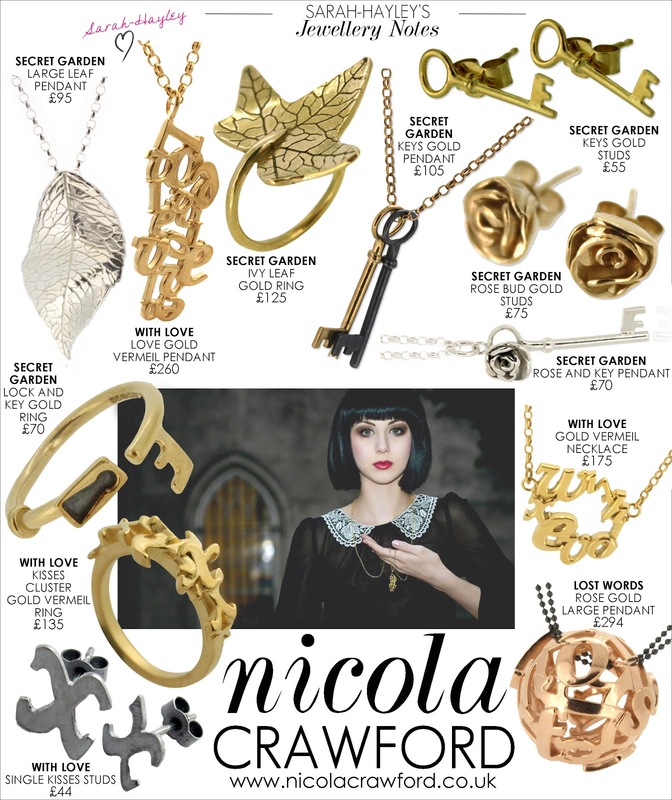 To see more of Nicola's jewellery visit her website and for stockists click here.